All Hippo mills models Baby through 69 are assembled mainly from cast iron parts where the actual work takes place. 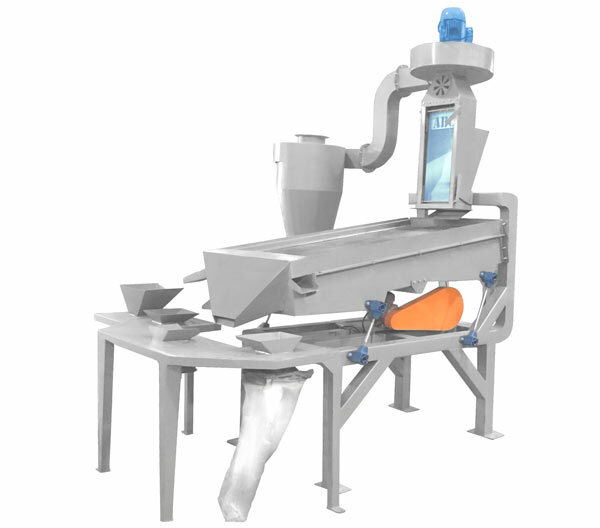 This does not only include the milling back plate against which the product is smashes during milling but also the entire top, sides and bottom where the screen is located into, through slots. The fact that all parts are bolted together ensures that no vibrations is transferred into individual parts and therefore not stress cracks will develop in the steel. 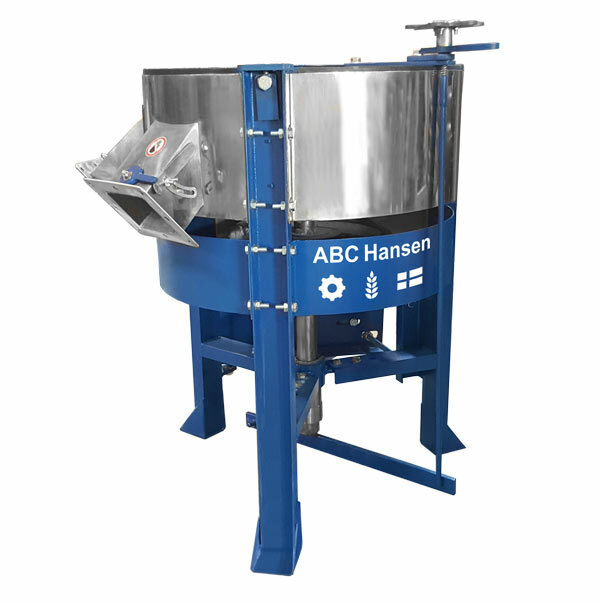 Hippo hammer mills have been manufactured in South Africa since 1928, initially by English immigrant Arthur Collins for three generations and finally becoming part of the ABC Hansen group of companies at around the turn of the century. 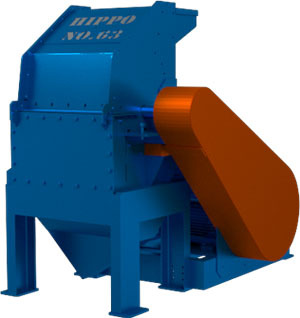 The design of the HIPPO HAMMER MILL is unique in that there are no chopping knives or flails, as the material is being fed directly onto the tips of the rotating hammers in the direction in which the hammers are rotating. 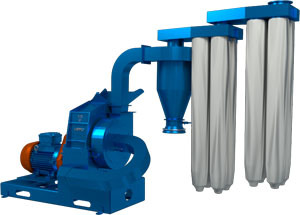 The milled material is transported from the bottom of the mill housing by means of an optional separate four-bladed fan mounted on the same shaft as the rotor and delivered to the cyclone. A wide range of screens is available, from 25mm down to 0.6mm aperture. Important innovations since Arthur Collins’ first generation mills – virtually unchanged until 2006 - includes: 1. 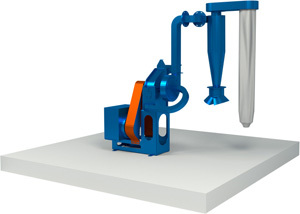 Unique and patented self- regulating intake system to avoid overfeeding and too much fluctuation in rotor speed. 2. 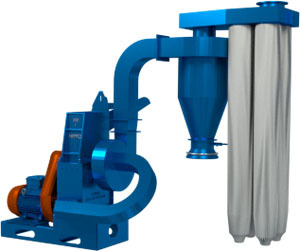 Redesigned cyclones for minimal dust emission during milling. 3. 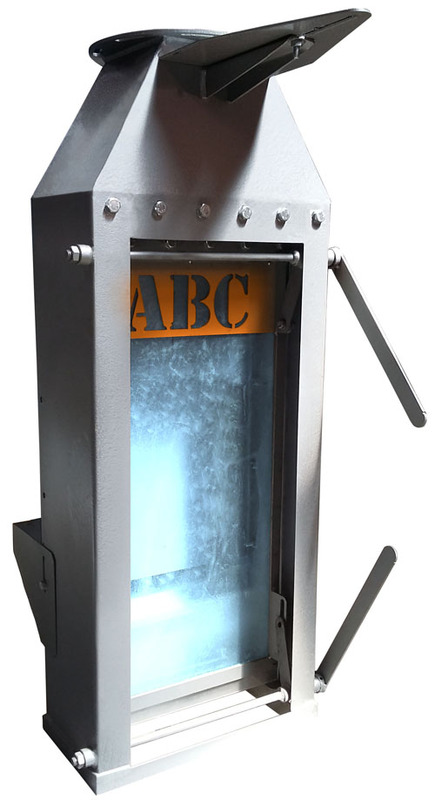 Redesigned delivery tubes to fan conveyance for easy cleaning, detachment, replacement, shipping and installation. 4. Re-designed cast iron fan impellers for higher suction capacity and less chance of blockage. 5. Standard expandable dust manifold system. 6. Metrication of the entire mill which was, until 2006 still based on imperial sizes. 7. New patterns for crisper and more accurate castings, assisting with aftermarket fitment. 8. Newly designed milling tips – doubled up on each beater centre for higher capacity milling. We call it “A Mill for a Lifetime” and yes, we still sell parts of mills commissioned initially just after the 2nd World War! Of Interest: The models 47, 57 and 69 denotes the years in the 1900’s in which these mills were designed. The original mills were the model 1 followed by the 1 ½ (which is 1 ½ times wider than the size 1). The Hippo Baby was launched later without air suction and was only in 2016 fitted with an air suction system – altogether a better discharge system allowing for better dust control and bagging-off. The Model 47 is as wide as the model 1 but much deeper – allowing for faster tip travel and greater impact. The 57 has the same depth as the 47 but is as wide as the 1 ½ while the 69 is double the width of the 57. The newcomers on the block includes the more industrial mills namely: The L63, the HayMaster and the Mammoth: These are fabricated mills without cast iron parts and more industrial design with very wide intakes. The L63 and Haymaster are essentially the same mill but with different intakes. The Mammoth has a very wide intake and large screening area with 144 milling tips. All Hippos run on horizontal shafts and with V belt drives and fixed hammers. 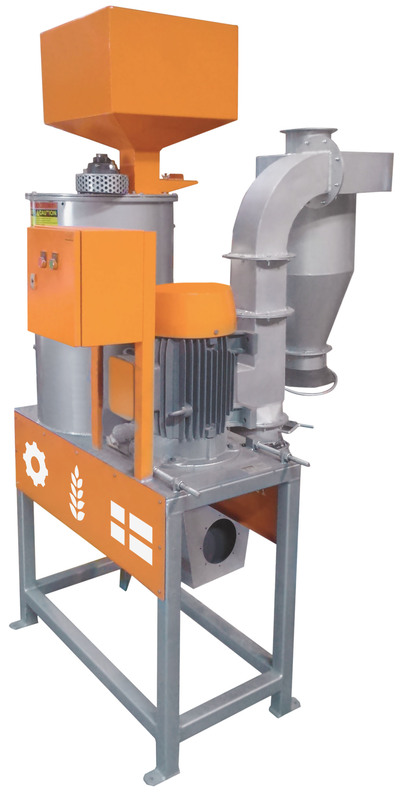 A new mill, as yet unnamed, with direct coupling and flails rather than fixed hammers will be launched in 2017 for specific applications. Wear and other parts are readily available from our warehouse, usually within 24 hours from order. For European customers, stocks of spares would be held conveniently in Denmark for overnight shipping to any European destination. 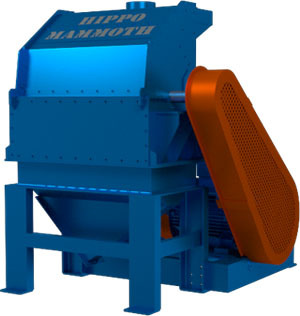 DOEN DAN DIESELFDE MET AL DIE ANDER MODELLE: HIPPO SIZE 57 HAMMER MILL: All Hippo hammer mills from models Baby up to Size 69 are based on cast iron milling plates, which drastically increases the lifespan of the mill, compared to any other mill in the world. 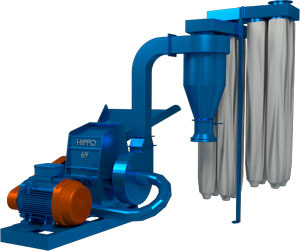 The Hippo 57 is a upper mid-range commercial/industrial mill, with high capacity, and high quality parts. 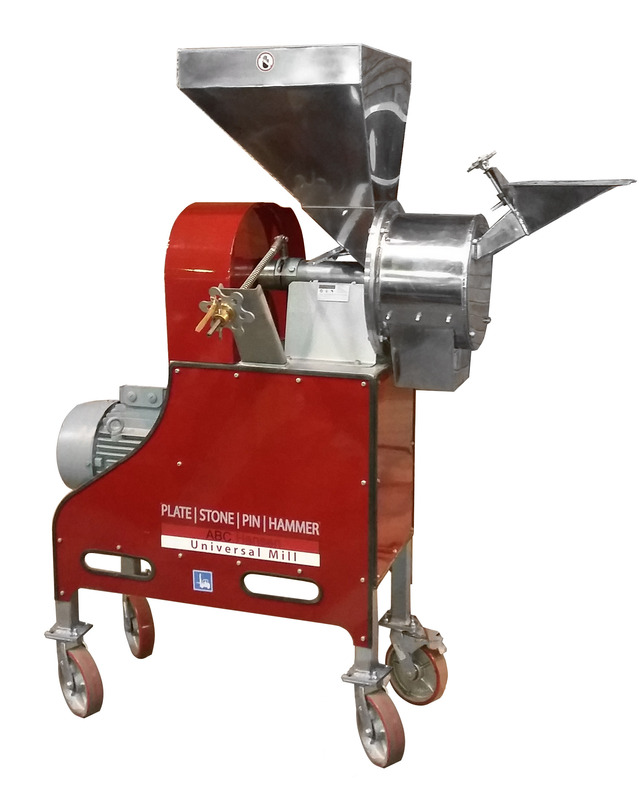 The mill has a wide opening to allow easy introduction of bulky products such as hay and lucern. All milling tips are manufactured from Bennox steel to ensure long lifetime on these parts. Optionally Hardox or other milling tips may be substituted for special applications. The model 57 is selected where capacity is becoming an important issue and dependability at 24/7 production is important. 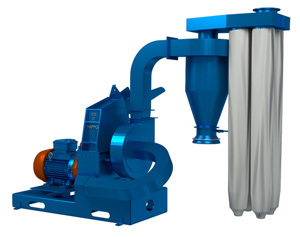 It is a powerful mill with 30 – 37.5 kW motor.